Update from Perri. The car has some issues. The goal? Get it running and then get a punch list of “do next.” I had a horrible connection and only caught every other word. He must think I am daft. (I am. So no harm there) Upshot? Too much fuel pressure, wrong linkage, fuel filter issues, etc. Parts, about $100+-. So very down with that. He is still exploring, so we are hopeful that nothing real expensive will be found. I am hopeful he can post a more detailed explanation of his findings. Thanks again Perri B. You fully get our goals and the vision and all of us involved in this project appreciate your efforts. Hey everyone just wanted to introduce myself a little bit. I'm Jason Miller. Born and raised here in phoenix and own a little fab shop (AZP Concepts) out in Mesa. You may have never heard of me and that's OK because I do not take pride in just getting a project out the door but rather doing the project right one vehicle at a time. Jeff (yummi) called me up and told me about this and I had to jump on board right away. I'm a pretty simple guy but there is really only a couple true dreams that I have in this world and one surprisingly enough is to be at a level to where I can spend each day giving back to those who serve our country with surprises when they come home in one way or another. I ask for nothing in return, it is merely the joy that I receive from it that is priceless so when Jeff mentioned it I knew this would be the start to a long life goal of a way for me to give back and no this will not be my last one but rather the first of many to come each year. So now that we have that out of the way we can get back to who this is all about. I will be right next to Jeff trying to help source everything out and any of you can contact me at any time if need be (480-326-3339 or azpconcepts @ yahoo.com) Thank you to everyone who has already helped and stepped up to the plate with donations because as a community whole we can truly make a difference one vehicle or surprise at a time. If it weren't for these men and woman we would not be able to enjoy life as we know it on a day to day basis. I am currently trying to set up a painter and a booth but once again if you have someone in mind please let us know. I look forward to this and thank you personally for everything that you guys can help with. Why was it on the wish list? Simple, there is nothing better than listening to your passenger squeal with delight and in the case of Staff Sergeant O’Neill, the passengers will be his young sons. Future off roaders with nothing but good memories of times with their dad. When It is time, maybe Ryan can upgrade to a full race radio set up. In my humble opinion, that is one of the best safety features a car can have. Nothing beats a heads up for danger spots, a quick call to circle around when somebody drops off, spotting jumps, or anytime you need to communicate with others in your group. Well worth the cost of admission. Rugged was my first call. Why? Well I am on my third system with them (three different cars) and they have never failed. Their customer service is always second to none. They are a class act. If you need a system, give them a shot, and look for them at the Sands Sports Super Show or just about any off road show. 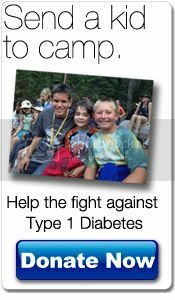 One of their causes is to fight against Type I Diabetes and they support that yearly by various fund raisers. Visit their web page to learn more about this endeavor. 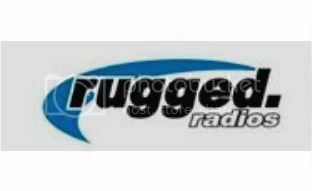 Thanks for coming on board Rugged! Engine trouble with then Baja # 3 cylinder to head seal is bad , zero compression, need to pull head to evaluate. Whammies are expected and I am so hopeful that this is not a show stopper. This a a cool project. I've done this sort of project for a soldier before. SoCal Bajas did another for a soldier-member of the group, although both of those were aware of what was being done while they were deployed. I hope your project here comes out well. I'm of the Vietnam War generation. Our society seemed to blame each and every soldier who served their country (whether they wanted to or not) in that era for all the terrible aspects of that war. With no regard for the fact that the soldiers were the ones who were there and experienced it first hand. That was SO WRONG! Some of those soldiers are STILL paying the price for having served. Many paid the ultimate price. I feel that anyone who puts them self in harm's way for the rest of us deserves an enormous THANKS!! for that. I also feel the politicians who start wars and keep them going should be the 1st ones to have to dodge bullets. So I applaud what you're doing here! Doing Random Acts of Kindness (RAK) for folks should not be celebrated. IMHO they should be the norm. You sound as if you have been involved in them in the past as well so you would know that some lead by example. That is the best way to do it. Glad to say I know a few here and there that always step up. The recognition is not the important part. Final verdict on the whammy. Somebody tried to repair cracked heads. That did not work. So, we are looking for a set of 1915 heads. We will need to get the step cut and set for a 94 bore? (I confess, that is greek to me.) Anybody have anything sitting around that would work? Wish I had a pair, but all I have is for 1600cc engines. It’s like Christmas in August! UPS man is starting to get5 here. Two extinguishers, a few switches in the house……. On the head front. Local machine shop is stating $325.00 complete for both which is sounding like the best option right now. Will know more in a bit. We could also us a st of liners for 94s someone honed rusted cylinders for this "rebuild". At this point if I could get someone to come down to the shop pull and tear down the motor to see what else was "rebuilt" in it would be a great help. No sense putting new heads on a patch job. Also this vehicle is to heavy to just use a stock oil cooler if anyone wants to donate a large oil cooler that would be nice. Tow strap, complete intercom system via Rugged Radios and a couple of fire extinguisher mounts. On the motor front, going to make the executive decision on the heads. Local machine shop suggests rebuilds vs. new. So that is route. Couple that with some more findings and the whammies keep whamming. Going to have to conserve our money best that we can. Time is currently on our side, but not for long. Will be stopping by Perri’s today to get some additional information. We could seriously use a hand to strip this motor down. Here is the note from Perri B. Anybody local in the Phoenix / Mesa Metro have some free time? We could also us a set of liners for 94s someone honed rusted cylinders for this "rebuild". At this point if I could get someone to come down to the shop pull and tear down the motor to see what else was "rebuilt" in it would be a great help. No sense putting new heads on a patch job. Also this vehicle is to heavy to just use a stock oil cooler if anyone wants to donate a large oil cooler that would be nice. Should arrive at your door in three days. name='Kraut_n_Rice' post='4514377' date='Aug 16 2013, 08:58 AM']I have a pretty large oil cooler w/electric fan left over from another project. Added to the pile..
BTW, Thank you MastrFbr for the paypal....... You rock. On track, with luck Adam and or Matt got in touch with you. Thanks again for your help Perri. We will make it happen.